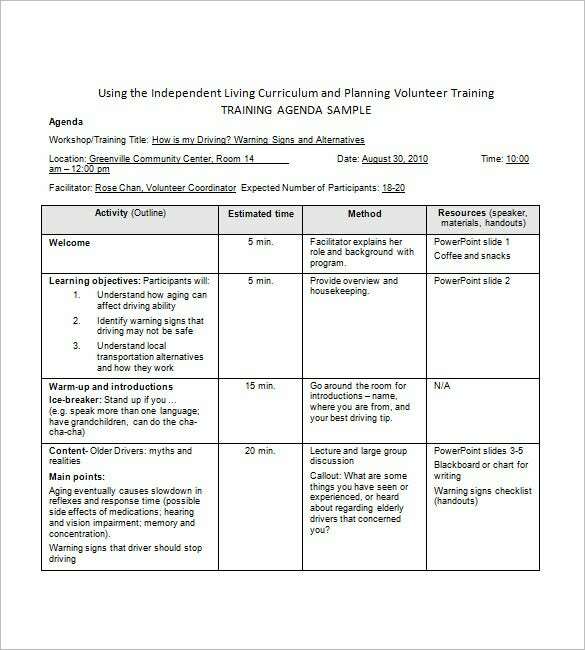 A volunteer training agenda template in word example is an example of a sample training agenda. Available in Word format, this template is comprehensive and self-contained. Basic details like workshop title, date, time, location, facilitator, expected number of participants is included in the beginning. And after that an agenda table is also attached. Users can avail this template online for free use in Word format. This template is completely free. 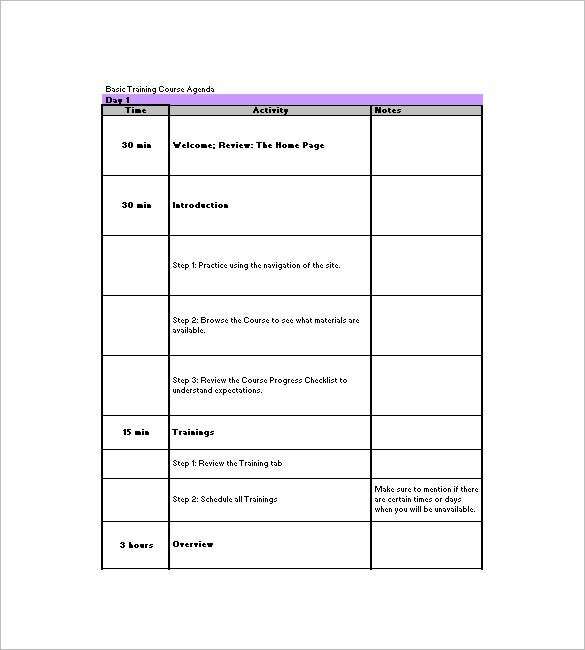 A free basic training agenda template excel is an interesting document containing an equally interesting sample training agenda. This one is simpler and more concrete example of an agenda template which is available to users for download in Excel format. This contains a table of agenda items with column heads- time, activity and notes. Users can simply print it after free download for their use. 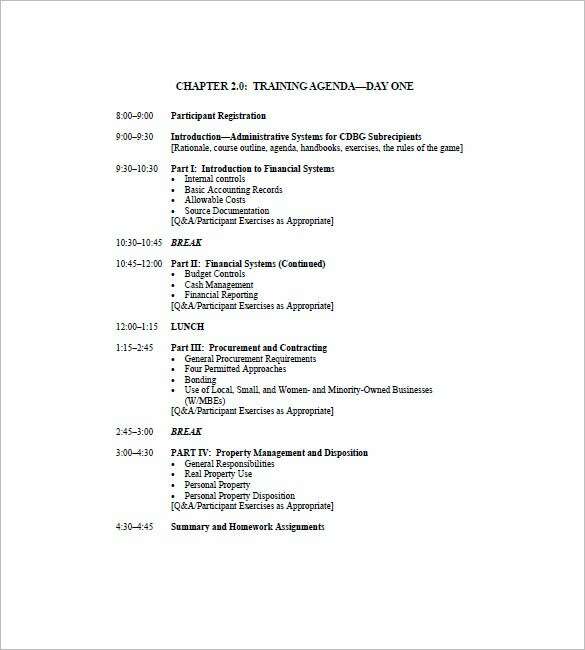 limra.com | A 3 day training agenda example agenda is a document containing agenda for an event. This event is a training which will last for three days thus this template includes all the details relating to this 3 day event. Containing an impressively attractive table, the headings of the columns are self contained. Time, minutes, code and topic for each day is listed separately listed. This template can be availed by the user easily since he can download it from the link given below. This template is available in PDF Format. usac.org | A sample application school libraries training agenda template is a sample document which can serve as an example for writing down agenda for a training programme conducted for a library. Thus the items included in this template are related to the same. 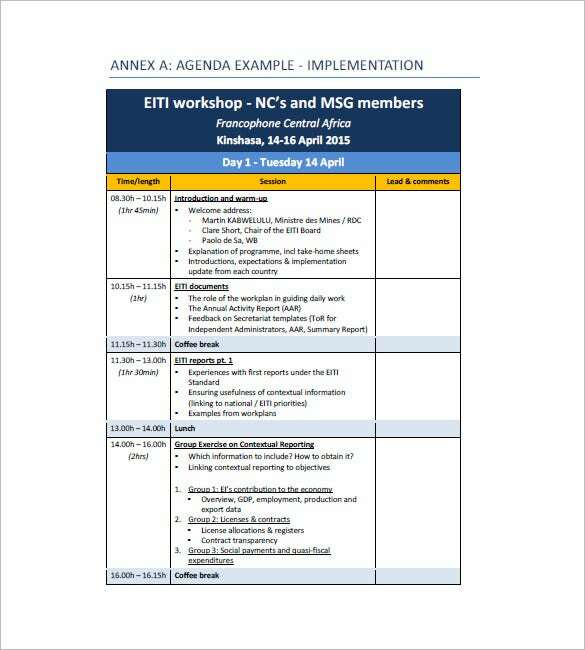 The agenda is made in beautiful format with headings like time, events and participants’ name. This template can be downloaded by the user for free use in PDF Format. A agenda template will cover a break-up of the syllabus to be taught in the training. 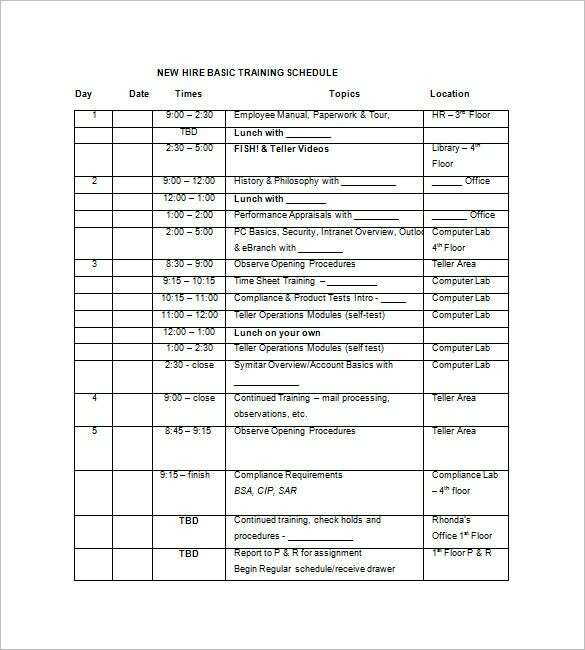 There will be clear time limit for each topic so that each topic gets the needed time and the trainer too will stay full aware of his responsibilities. When do We Need a Sample Training Agenda Template? 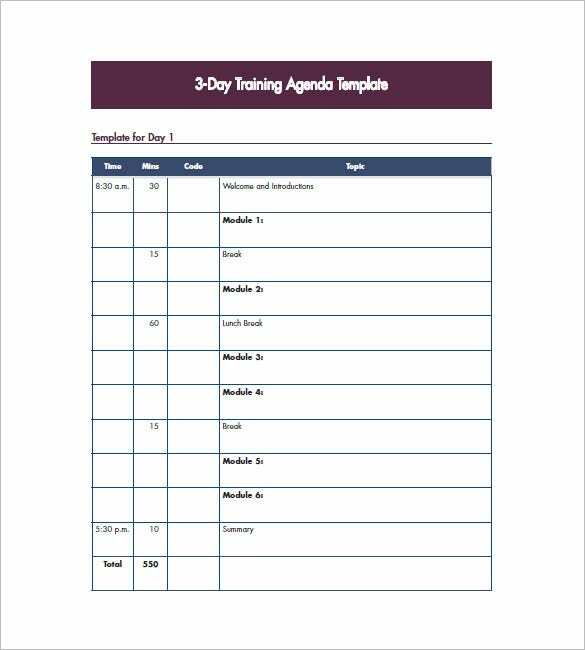 Sample training agenda templates are a collection of amazing templates that includes an agenda for a training program. A training program agenda is needed by users who are to be engaged in a training program. 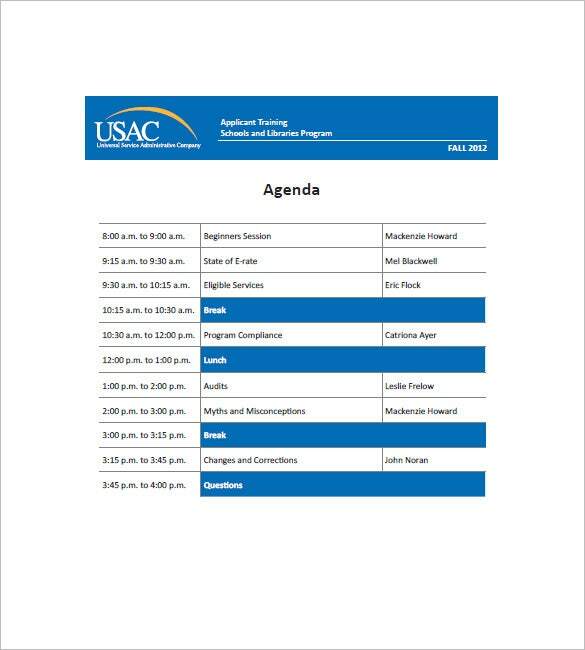 The templates listed are great example of various formats of agendas that can be used by users when they are conducting a training program. Thus the templates are essential and useful. 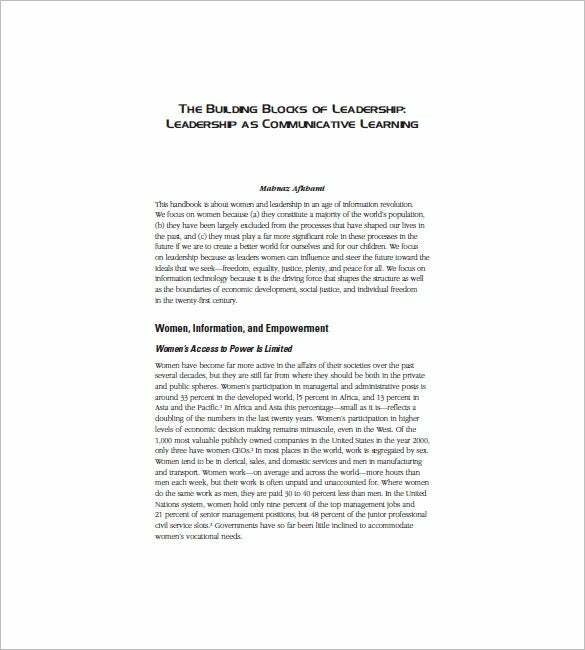 What are the Benefits of Sample Training Agenda Templates? 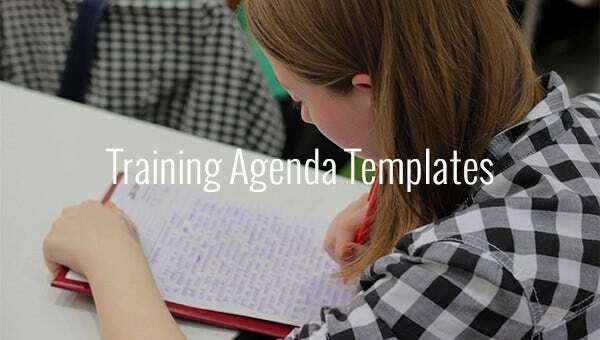 Sample training agenda templates is a collection of some interesting and exclusive templates that are essential and useful for organises conducting a training programme. They can seek interesting ideas while creating a sample training agenda for their use. Conversely they can use this document as it is for their use. Along with that these templates are freely available for download. Users can access these templates without many hassles. 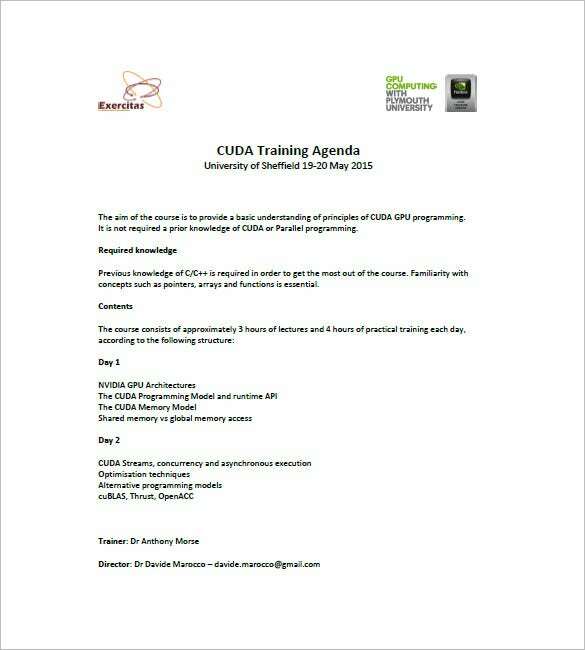 So it is a stress free job for users to download these training agenda templates. Users can avail some great quality agenda templates for themselves at one place through this interesting portal. The templates help one save time since they need not search over web looking for an appropriate training agenda template since all quality templates are all available in this portal. If you have any DMCA issues on this post, please contact us!